A European team has never won a world cup, when it was held on the other side of the Atlantic. The chances of 2014 being the year where that changes have on the other hand never been bigger. As defending world- and European champions, the Spanish will certainly be among the favourites to bring the coveted World Cup trophy with them back to Europe. 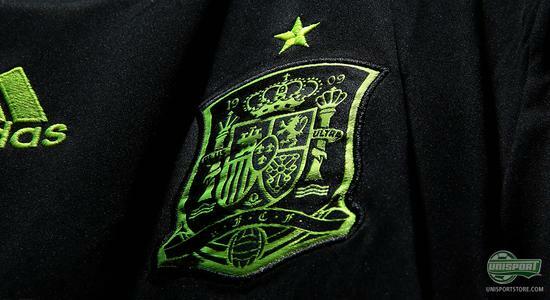 With the unveiling of their away shirt, the Spanish are ready to defend their title. 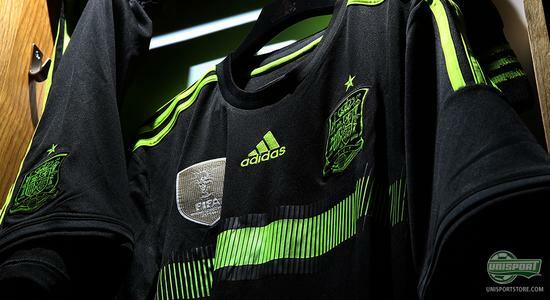 Just as classic as the Spain home shirt is, the away kit is equally unorthodox. While it has kept a simple and modern look, the combination of black and neon has never been seen on a football shirt. The Spanish are however known for experimenting with their away kits, which we have seen in a sea of different variations, with navy, light blue, white and even gold being just a few. You can find the defending World champions away shirt right here – just €71. The futuristic look is inspired by the always lively, cheerful, effervescent and colourful Spanish culture. 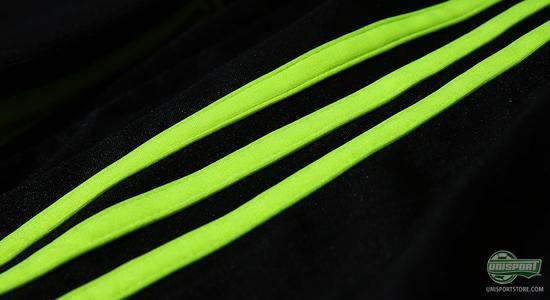 Adidas encourage people to come together and enjoy the happy times, which have been a part of recent Spanish football history and hope this will spur them onto victory in Brazil. 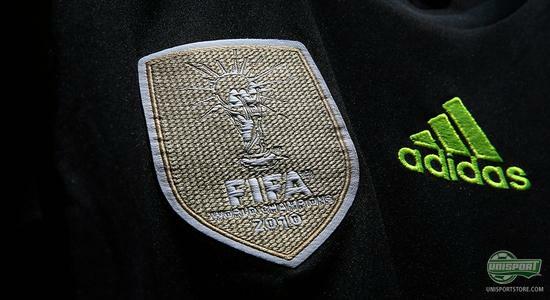 As something completely unique the shirt also has a special FIFA World Championship badge on the right side of the chest, which can be found on the shirt of the current World Cup holders. The three neon stripes really stand out on the shirt and give the shirt a very modern look, which Adidas hope will be well represented in the stands around Brazil this summer. The Spanish away shirt will already be taken into use, when the Spanish take on Italy at the Vicente Calderón on the 5th of March, as a part of their preparation ahead of the World Cup. We are sure they will want a strong debut for the new shirt. Spain’s new away shirt will at this World Cup pay homage to the happy and lively Spanish culture and Adidas have really done well with representing this in the new kit. 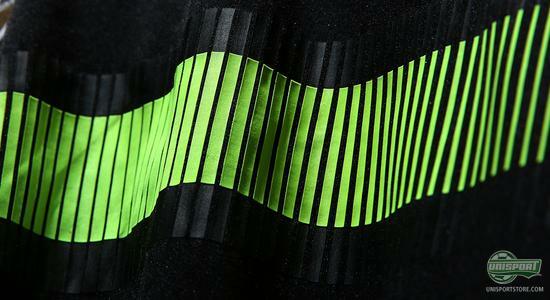 What do you think about the neon and black electro look? Which World Cup shirt will you be getting ahead of the tournament in june? Share your thoughts with us in the comment-section down below, or on Facebook and Twitter.